24 Ansari Road, Daryaganj, New Delhi- 110002. This book is excellent. It is a comprehensive and a compact package for undergraduates and those appearing for various competitive examinations at the undergraduate level. It will serve as a ready reference guide for revision as well as viva, and also as a refresher just before the examination. 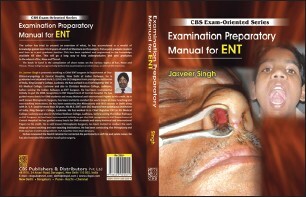 This book will be of immense help to the students and relieve them of the ever increasing pressure of examinations. The various topics have been comprehensively summarized, which will be easy to understand and remember. This is an excellent effort by the author, who has a vast and varied experience in teaching DNB students for the past 20 years or so. The author, Dr. Jasveer Singh, is a very promising and proficient Ear, Nose, and Throat professional, having an experience of over 35 years. He has served in prestigious hospitals like the King George Medical College, Lucknow, and Christian Medical College, Ludhiana, before joining his present assignment in the Central Hospital of the Indian Railways. He is a well-known Rhinoplastic surgeon and has conducted a number of rhinoplasty and functional endoscopic sinus surgery workshops and courses. His innovations in anterior nasal surgery have earned him laudable laurels. The price of book is very reasonable and it is easily affordable by everyone.